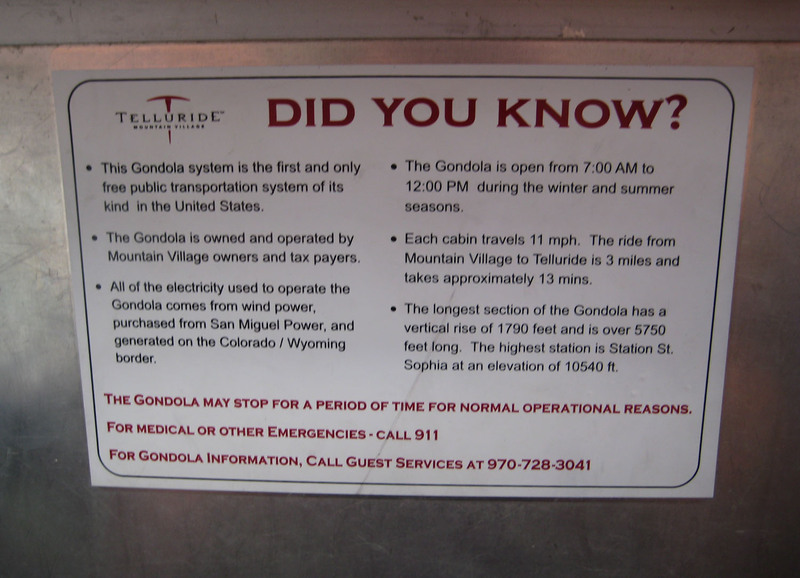 It’s ski season, so this week’s Sunday Sign brings us a few fun facts about the Telluride Gondola, which is actually a free public transportation system, not a “ski lift.” It’s also 100% wind-powered. The Gondola connects the the towns of Telluride and Mountain Village. I dreamed about Telluride this weekend. I was very disappointed to wake up in Alabama. Thanks for stopping by, Carla Jean. It’s been just over a year since my last visit to Telluride. I miss it. Can’t wait to go back.